It's May in Indianapolis and the streets are getting busier as race fans get ready for the greatest spectacle in racing. I'm going to be a little creative this month. 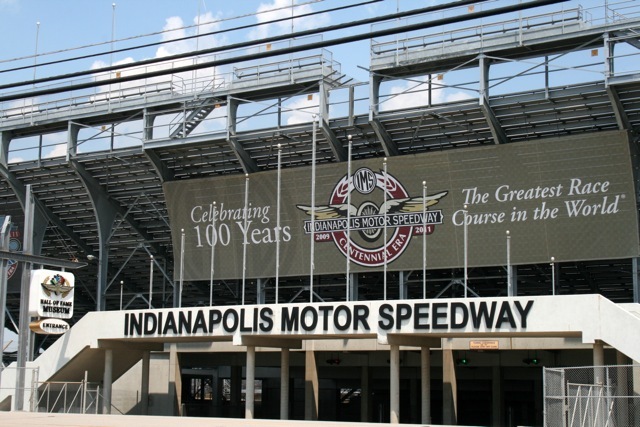 Obviously, the picture is of the entrance to the Indianapolis Motor Speedway. Who do you think will win this years Indianpolis 500? First person to guess correctly (before race day) will win a $50.00 Visa gift card. Just leave your guess in the comments and I will email you if you win. Good Luck and have fun taking in all the excitement of race month. The person who will win, is the first one over the the line at the checkered flag after going 500 miles. Thanks all for stopping by - good luck! Fred - do you have a name behind that driver, bro!